Labor Day weekend. We say goodbye to summer and hello to fall. Enjoy the company of friends and family. And, if the weather cooperates, spend time outdoors. All good fun, right? Nationwide, more than 42,000 people are killed in motor vehicle accidents during Labor Day weekend. Drive sober, eliminate distractions, buckle up and use proper car and booster seats for your kids. Never leave a child alone in the car and keep your car locked when you’re not using it. On average, a child dies from heatstroke in a vehicle every 10 days. The pedestrian death rate among teens is twice that of younger kids and accounts for half of all child pedestrian deaths. Make sure your kids know it’s best to walk on sidewalks or paths and cross at street corners, crosswalks or intersections. Have them put away electronic devices and look left, right and left again when crossing the street. They should also make eye contact with drivers as you cross. These rules also apply if they’re on a bike, scooter or skateboard. Wear a helmet if you’re riding a bike, scooter, skateboard or skates. Helmets can reduce the risk of severe brain injuries by 88% – yet only 45% of children 14 and younger usually wear one. Heading to the ocean or a lake to enjoy the last days of summer? Your kids should always be supervised in or near water and wear a properly fitted life jacket. Know your limits, even the most experienced swimmers can drown. Swim in designated swim areas – avoid rivers, which can be dangerous and unpredictable. Boaters should forgo alcohol, pay attention to weather conditions and have a life jacket onboard for every passenger. Hiking is a fun, healthy and affordable activity for the entire family. Inexperienced hikers, especially teens, are at the greatest risk for injury, even death. Be prepared. Know the weather conditions. Dress properly. Know what to do in an emergency. Check in at your local ranger station. Let someone know where you’re going and when you plan to return. Finishing up home-improvement projects this weekend? Traditionally, Labor Day weekend brings a spike in fall-related emergency department visits. Supervise children around open windows. Window screens break away with less than 5 pounds of pressure and are designed to keep bugs out, not kids in. Thinking of cleaning the gutters or painting the house? Position your ladder on a stable, even, flat surface. Use the 1:4 ratio: place the ladder 1 foot away of whatever it leans against for every 4 feet of height. Whatever your plans, we hope you have a safe and enjoyable holiday weekend. 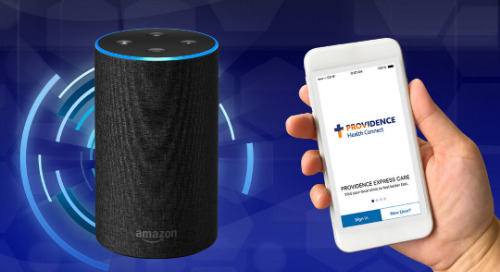 If you find yourself in need of medical help, the Providence Express Care and Urgent Care clinics are ready to help. And, the Emergency Departments at Providence hospitals are open 24 hours a day. We hope you won’t need us. But, we’re here for you if you do. Low Testosterone is the Talk of Late Night. But is it Real? What is 3D Mammography? Is It Right for Me?